NHL has become quite obsessed with Lego building. After I built a Lego Harry Potter set with him, he broke out some other Lego sets. This particular set was given to NHL by Uncle I a few years back. It had gotten put away and now was the perfect time for it. 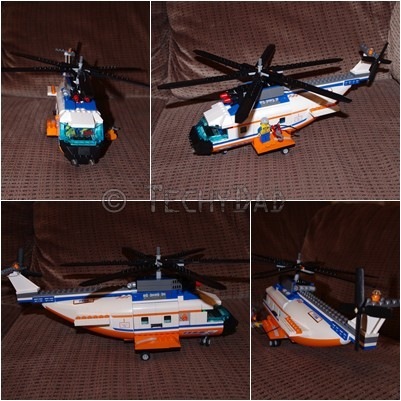 NHL, over the course of a week or so, he followed all of the steps and put together a Lego helicopter on his own. (I only helped with putting the stickers on.) I’m so proud of my Lego builder! Great job! And how old is your little guy?